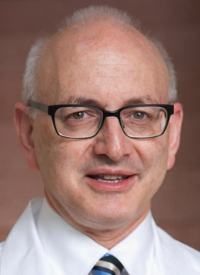 As a whole, the field of hematologic oncology is moving away from the use of chemotherapy toward more targeted treatment strategies, a shift that is resulting in improved survival outcomes, explained Stephen D. Nimer, MD. As more targeted agents become available, there appears to be a higher likelihood of testing negative for minimal residual disease (MRD)—an important component of prognosis in many of these blood diseases, said Nimer. In acute lymphoblastic leukemia (ALL), MRD negativity has become an additive endpoint beyond complete remission, overall survival, and progression-free survival as evidenced by the single-arm phase II BLAST study, which included conversion from MRD positivity to MRD negativity as a primary endpoint. Beyond targeted therapies, CAR T-cell therapy has emerged as a viable treatment strategy for patients with ALL and large B-cell lymphoma. The CAR-T products tisagenlecleucel (Kymriah) and axicabtagene ciloleucel (Yescarta) are both approved for large B-cell lymphoma, and tisagenlecleucel is also approved for ALL. Further follow-up with BCMA-targeted T cells in myeloma and research aimed at enabling T-cell infiltration in solid tumors are ongoing. However, as more novel therapies come to market, sequencing will undoubtedly become more complex. “Learning how to better combine drugs and identifying which patients will benefit from one subtype to another is really going to take more clinical trials,” explained Nimer. In an interview during the 2019 OncLive® State of the Science Summit™ on Hematologic Malignancies, Nimer shed light on new strategies and trends in the treatment of patients with hematologic malignancies. OncLive®: You served as moderator for this State of the Science Summit™. Could you speak to some of the topics that were covered? Nimer: We discussed new treatments for hematologic malignancies. There were a few common themes, one of which is moving toward the use of targeted therapies as opposed to chemotherapy. Many of our standard regimens that have been used for a long time are not as effective as some of the more directed therapies. We also heard a lot about antibodies for lymphoma and myeloma, which are turning out to be extremely effective. The development of immune approaches for treating cancer is also replacing some of the traditional chemotherapies. In acute myeloid leukemia (AML), there is a huge range of new drugs that have been recently approved [by the FDA] for subtypes of the disease. [These advances underscore] the importance of understanding genetics and characterizing each patient’s disease. Lastly, there was quite a bit of information on MRD. As we develop treatments that can eliminate easily measurable disease, the question becomes how to monitor very tiny amounts of disease. That will help us optimize treatments. How has MRD affected the field of hematologic oncology? When you don't have very good treatments available, MRD is not that important. There have been several publications in AML, myeloma, and chronic lymphocytic leukemia (CLL) showing that the newer therapies are able to eliminate nearly all of the disease. With some of the other therapies, we would find 1 in 1000 or 1 in 10,000 malignant cells. Now, we’re frequently under 1 in 1 million cells. Those techniques involve pathologic complete response-based studies, and sometimes, flow cytometric–based studies. We're getting better at detecting MRD, and so we're finding the importance of getting to MRD. In chronic myeloid leukemia (CML), the TKIs are probably the best example of rendering patients MRD negative. If a patient is still positive, they will need to be placed on some other type of therapy. In myeloma and in CLL, the techniques have not been applied in the past, and they’re still not uniformly applied. However, there are publications showing that the depth of response correlates with the length of remission, and sometimes, survival outcomes as well. Could you discuss any trends we’re seeing with CAR T cells? CAR T-cell products have been approved [by the FDA] for ALL and non-Hodgkin lymphoma. We heard a bit about their use in multiple myeloma and they're being tested in solid tumors as well.